In order for students and educators to use Google Earth effectively, they need to learn the basic functions of the user interface. The Student Google Earth User Guide is designed to help users become familiar with Google Earth's most commonly used functions and offers links to more detailed information. The Google Earth Tip Sheet is a one-page summary of some of the most frequently used Google Earth functions. Google Earth offers a great deal of data in its layers that can be used for educational purposes. For example, it includes a volcanoes layer that can be rendered in the 3D Viewer as a set of icons in the form of volcanoes. Each icon can be clicked to reveal descriptive information and photographs of the represented volcanoes. Also included is a terrain layer that can be activated in order to visualize the landscape in three-dimensional relief for any part of the world. Image overlays of maps can also be draped over the terrain. This is especially effective for displaying the relationship of contours on a topographic map to the landscape. In addition, a great deal of third-party data is available on the web that can be displayed in the 3D Viewer. Perhaps on of the richest and most varied repository of this data is the Google Earth Community Forums. Each forum is a collection of discussion threads devoted to a particular broad subject area. Some examples of forums that are specifically focused on education include the Students, Educators, and Tools forums. In addition to the forums that are specifically targeted at students and educators, there are several dozen others, both moderated and unmoderated, including Environment and Conservation (Moderated), People and Cultures (Moderated), Nature and Geography (Moderated), History Illustrated (Moderated), and Current Events. The moderated forums are more strictly controlled by a group of moderators than the non-moderated ones. However, it is important to recognize that anyone can join the Google Earth Community. Therefore, the user needs to assume some of the responsibility of judging the quality of the information. Educators should, of course, examine threads in advance that they plan to use as a basis for student activities or assignments. The Google Earth Education Community offers a site where educators and students can share information on topics that can be explored in Google Earth. Many of these submissions include KMZ data. Digital Explorer has developed some Google Earth training modules in order to train teachers and organizations to create virtual field trips using Google Earth. 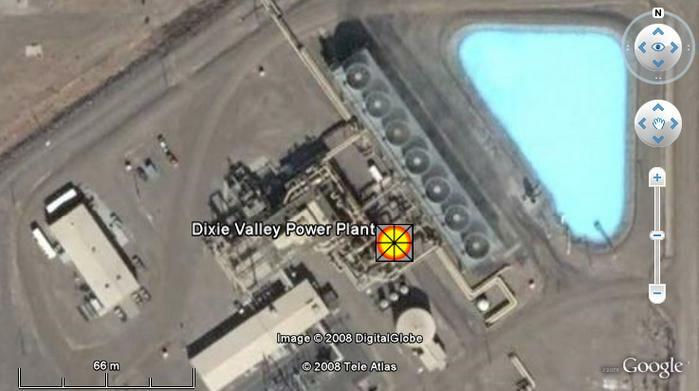 Google Earth and its server are periodically upgraded to add new layers and capabilities. In addition to the forums, there are various blogs that can keep you informed about new developments. These include Frank Taylor's Google Earth Blog , the Google Lat Long Blog , and Ogle Earth . Google Earth Lessons offers information on how to user the Google Earth interface and a great deal of ideas, content, and teaching material that can be used in the classroom. Noel Jenkins' Juicy Geography offers ideas, lessons and resources for teaching geography, with an emphasis on material that can be used in Google Earth. In addition to using existing data, students and educator can create their own data to be mapped in the 3D Viewer. This data can be in the form of points (known as placemarks), paths, which are segmented lines, polygons, overlays of maps, photographs, and three-dimensional models. The Student Google Earth User Guide includes information on how to create new data. This book covers Google Earth and Google Sketchup. Concerning Google Earth, the topics include searching for places, finding directions, navigating, measuring, adjusting the settings, using the layers, creating and organizing placemarks, creating tours, the Google Earth Community, creating overlays, using GPS data, the basics of KML, and where to find data. Several chapters are devoted to creating 3D models with Sketchup and bringing them into Google Earth. The KML Handbook offers an introduction to KML, and a great deal of advanced material about the details of the language, and how to use it to create a great variety of different types of content. Along with descriptive text, code examples and illustrations are used throughout the book to demonstrate how to create placemarks, paths, polygons, overlays, and 3D models. Also included are discussions on how to design attractive and informative information balloons, work with photographs, create icons, offer data through network links, serve data with Python scripts, and use time and animations. The book also includes a complete KML reference. Beginning with simple examples of how to use the standard Google Maps service, and proceeding to discussions of the Google Maps API accompanied by code and illustrations, this book demonstrates many uses for Google Maps. Introductory material includes navigating the map, changing map views, searching for places and getting directions, and sharing maps through urls. The more advanced focus on the API includes working with markers, routes, information balloons, geotagging photographs, server side scripts, mashups with third party data, working with XML data, and databases. One chapter discusses tracking incoming GPS data with Google Earth. This book uses version 1 of the Google Maps API, so it is somewhat out of date, but still offers a great deal of useful information. Future of Google Earth is a story about the adventure of exploring the world with Google Earth. It places considerably more focus on facts about places than on technical aspects of Google Earth. It includes information on some features that can be seen in Sky mode. In addition, other Google services are briefly discussed, including the search engine, Google Maps, and Gmail. These two books present, with examples that include code and illustrations, the fundamentals of the Google Maps API. Many of the examples involve server side scripting with either PHP or Ruby. Why Teach With Google Earth?